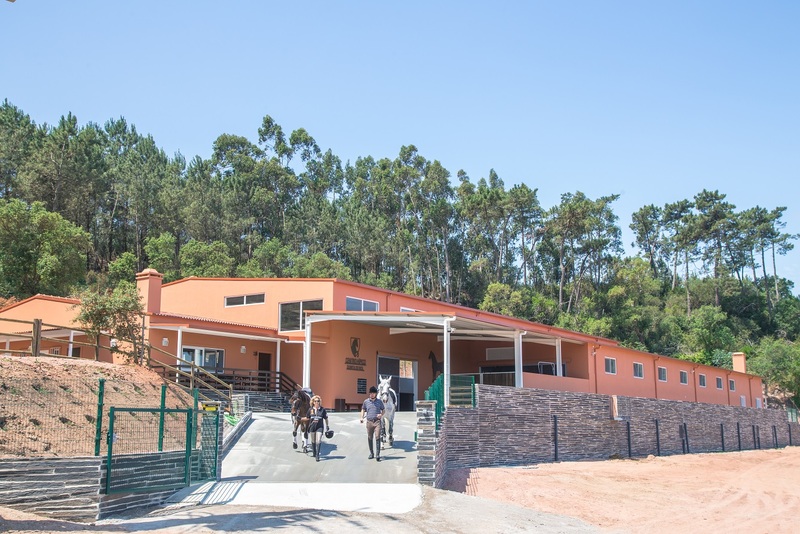 In April 2018 I was given the opportunity to visit our three Portuguese dressage centres, Quinta do Rol, Monte Velho and Alcainca. The thought of riding finely tuned Lusitano horses that are easily capable of high level dressage exercises was exciting. Although, it was somewhat daunting for a girl who show-jumps and hacks her 14.2hh cob, Bob, at home. Despite this I leapt at the opportunity, I mean if you’re going to give dressage a go why not do it on a Lusitano in the Portuguese sunshine. As a total novice in the world of dressage, I stepped off the plane at Lisbon Airport with a sense of trepidation for the week to come. After a warm welcome from Teresa, Quinta do Rol’s transfer driver, I began to relax and feel the excitement of being in a new country with a new challenge to get my teeth into. Rita Melo Ribeiro, one of my hosts, was there to greet me upon my arrival and show me around the wonderful Casa da Eira which would be home for the next two nights. 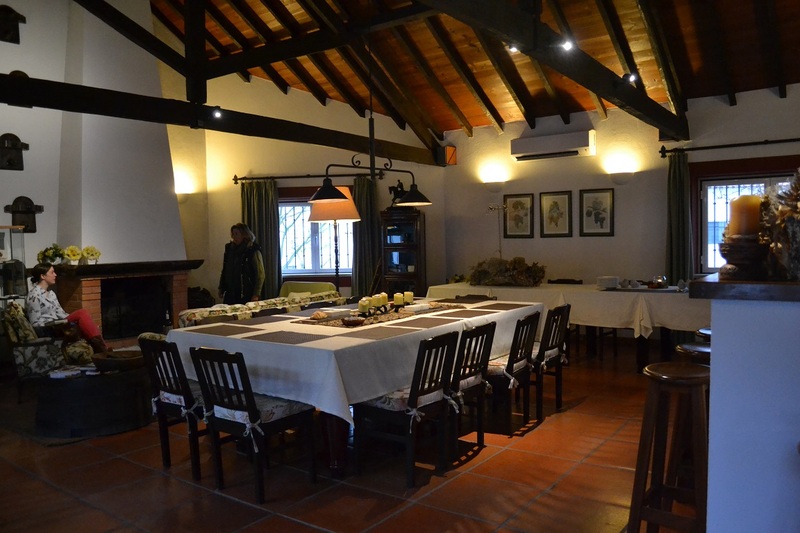 This converted farm building is traditionally Portuguese and very homely, with two bedrooms each with their own bathroom, a kitchen and open plan living/dining room full equipped with a log fire to keep you warm in the winter months and air conditioning to keep you cool in summer. Dinner this evening was delicious and just what was needed after a day of travelling. A starter of vegetable soup, a choice of pork loin or swordfish, green beans, mashed potato and mashed sweet potato for main, followed by a dessert of meringues with fresh fruit and cream. Full of tasty food and delicious wine it was time for an early night to prepare myself for my first foray into the dressage world. 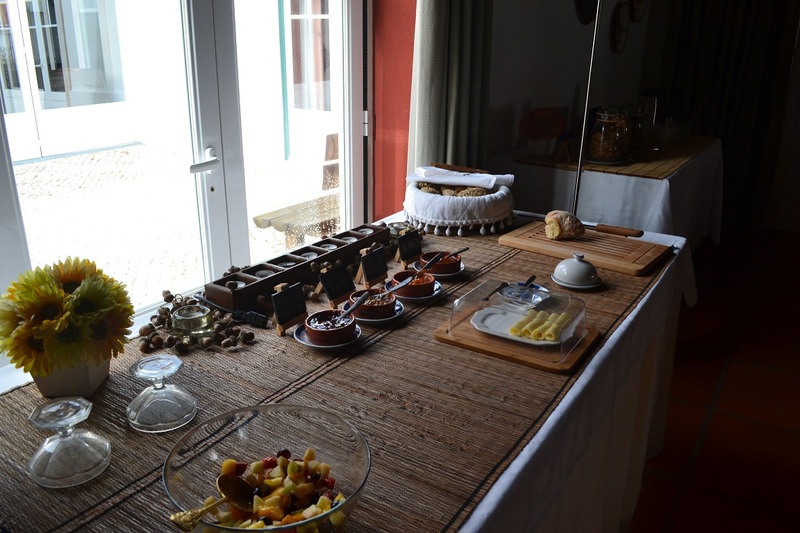 After a relaxing breakfast of fresh fruit salad, cereal, yogurt, bread, homemade jams, honey, ham and cheese, I felt prepared for the day ahead of me. 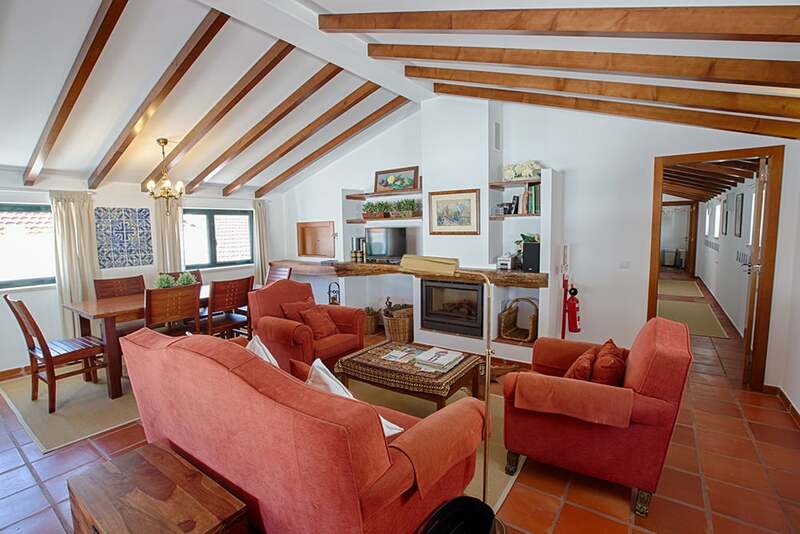 The equestrian centre is only a short walk from the main quinta across a small, quiet country road and there are bikes to borrow if you prefer to cycle. The impressive outdoor arena and stables draw you in and you cannot help but be in awe of the state of the art facilities and immaculate stable block. 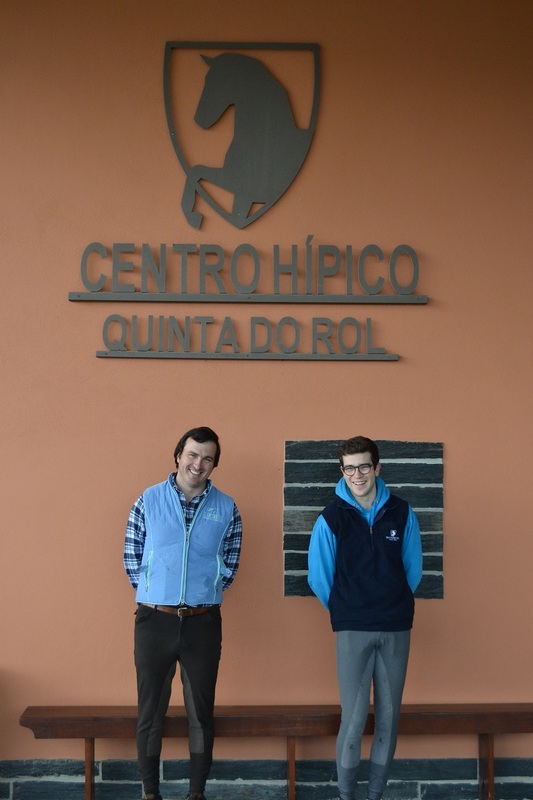 It is here that I meet Pedro, the senior instructor at Quinta do Rol. He shows me around the large purpose-built stables, wash bays and pristine tack room. 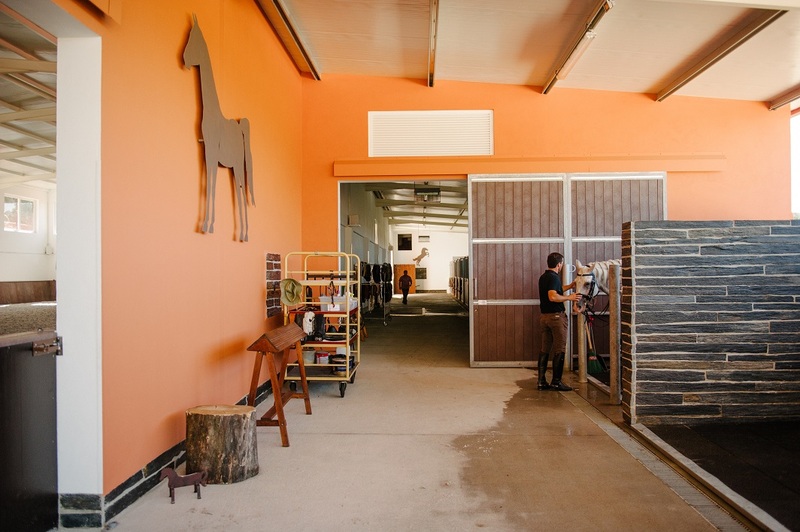 The tiny details that have all been meticulously planned really demonstrate the love and care that the instructors, staff and owners have for their Lusitanos. On my tour I am introduced to the horses. Pedro knows each individual horse and tells me all about their history and quirks. Watching how he interacts with the horses, his knowledge and quiet confidence is instantly reassuring that I will be assigned the perfect match. Records are kept for every guest with details of which horses they rode and what exercises they worked on. These are stored and updated on every return visit so that each individual’s progress can be tracked. After my tour, I venture into the wonderful riders lounge, this looks out over the indoor arena and is fully kitted out with a stocked bar, air conditioning and even a log burning fire for the winter. I spend the next hour watching other guests have their lessons and I can feel the nerves beginning to build for my lesson this evening. Before I know it it’s time to head back to the main quinta for a delicious lunch. As I walk into the lounge area I am greeted by Rita who has a platter of olives, local cheeses, sardines and fresh bread as an appetiser. As a main course we are delighted with a tortilla filled with potato and onion, spiced dahl, tomato and mozzarella salad along with fresh lettuce leaves and cucumber. With fresh melon for dessert, it is with a full stomach that Emilie takes me on further tour of the property. The beautifully renovated farm buildings with their white wash walls and terracotta roofs gleam even though it has clouded over. Each cottage has a lounge, kitchen and a differing number of bedrooms each with their own private bathroom. 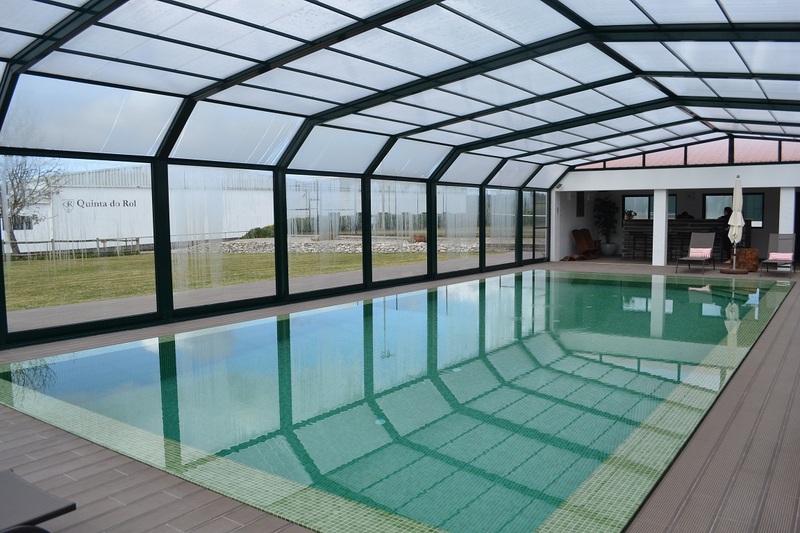 When not riding, you can be tempted to take a dip in the newly built swimming pool, work out in the gym and yoga area, test your table tennis skills, or even give basketball and tennis a go on the full-size courts. Before I know it, it’s time for me to change into my jodhpurs and head down to the equestrian centre for my first lesson. As I wait by the arena door, one of the grooms brings a gorgeous grey over and introduces me to Coxixio. He is stunning and I’m suddenly excited to climb aboard and see what it is actually like to ride a Lusitano. As I mount up I find myself faced with a double bridle and I realise how far out of my comfort zone I have come. I’m shown how to hold the reins and it all feels foreign but after a few laps of the arena I start to get used to the feel of it. It is then that I realise that I am sat on top of a powerhouse of finely tuned dressage horse and Gonçalo, the junior instructor, starts to put me through my paces. 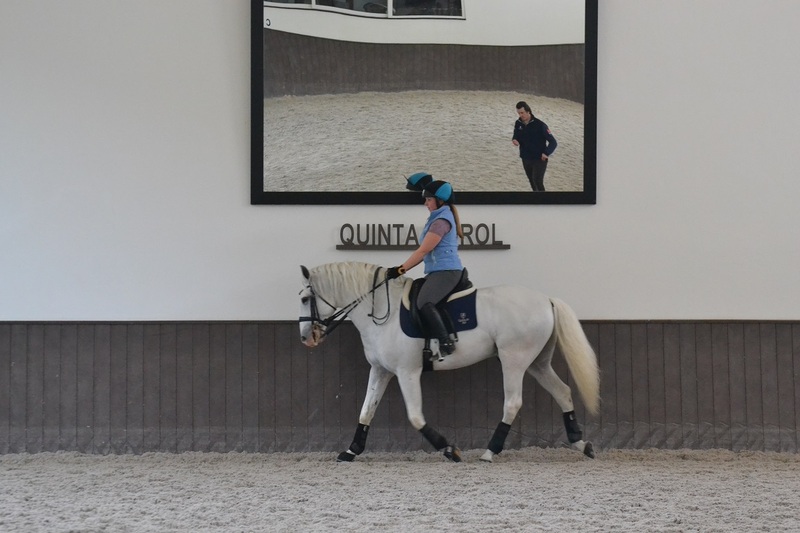 Straight away, Gonçalo corrects my posture in the saddle and I feel like a beginner being retaught how to ride. Once I am sat dressage straight we attempt some shoulder in and leg yield at walk. From here I progress to trot and once again Gonçalo is correcting my seat and how go through the motions of trot, something that is second nature at home. Coxixio is a saint and patiently waits for me to correct my seat and use the right aids. Now that I’m set up, Gonçalo asks me to leg yield along the diagonal and amazingly, with a slight movement of my leg to the right position I’m drifting across the arena with a big grin on my face. 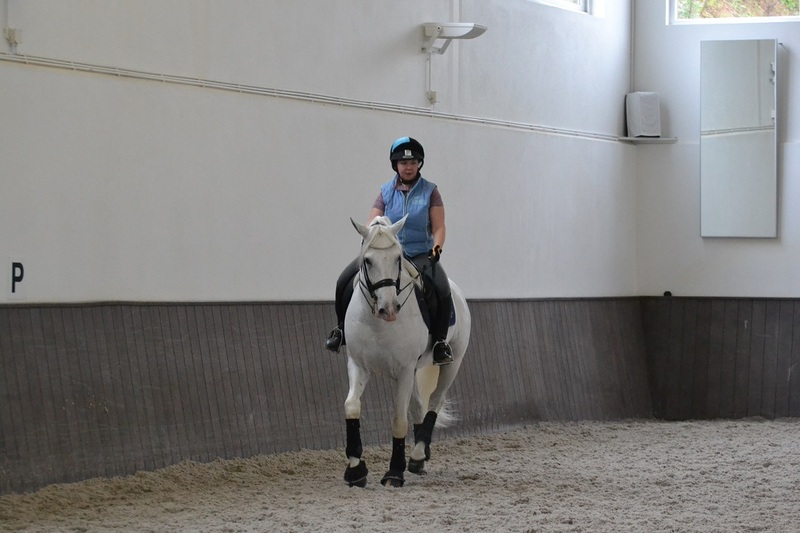 As I progressed through my first lesson and started my instruction from Pedro, I realised how much I had to learn. Not being able to crack travers on my first attempt was incredibly frustrating and it gave me a new level of respect for top dressage riders who make the most complicated manoeuvres look effortless. Time and time again I could not get travers and so as a breather Pedro gave me the opportunity to sit to piaffe and passage. Coxixio was incredible and the sense of elation and pride I felt getting to try these top-level movements is beyond words. Soon it was time to dismount, say farewell to Coxixio and head back to the quinta for dinner. There was no time to shower and change and so it is lucky that fellow guests don’t mind the odd waft of horse at the dinner table. Tonight it was a tasty chard soup to start followed by fishcakes, king prawns, salad and vegetable risotto. Dessert this evening was a huge pile of profiteroles and fresh melon. With an 8:30am lesson booked tomorrow it was quickly off to bed to mentally prepare myself for the following morning. This morning I was up early and after a cup of tea, apple and biscuit it was down to the equestrian centre in time for my 8:30am lesson. Today Farao was handed to me, an elegant black gelding with a white star. After my lesson yesterday, the double bridle seemed less daunting and I was raring to go. I was determined that today was the day that I got travers, the movement that had defeated me yesterday. With the bit well and truly between my teeth I got straight into warming up my wonderful horse with Gonçalo and before I knew it I had cracked leg yield, shoulder in, half pass and the dreaded travers within the first half an hour. As I swapped instructors, a sense of pride and achievement was swelling in my chest. Maybe I wasn’t as awful as I had thought. 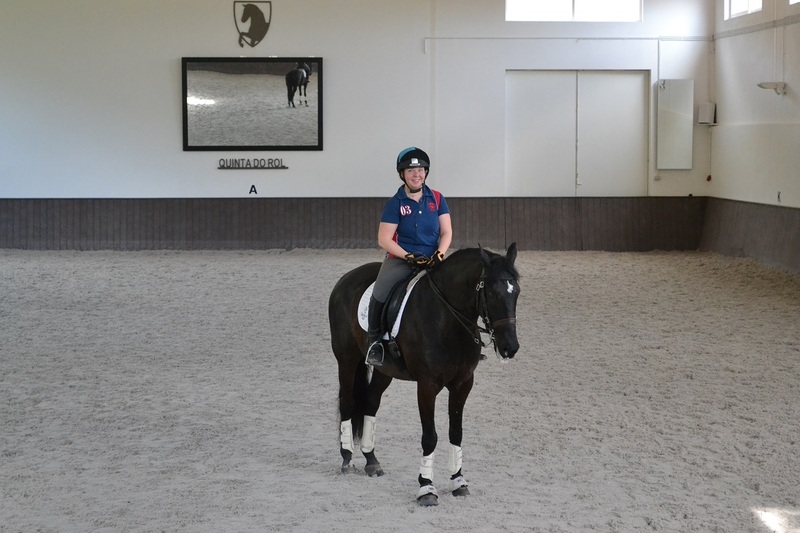 Now that I had managed to progress through travers, it was time to try something that I hadn’t imagined I would be able to do, especially in my second high-level dressage lesson. It was time for flying changes. It is a credit to Pedro and how well his horses are schooled as to how I manage to pick up flying changes in the next half an hour. These may not have been perfect or worked every time but even the fact that I understood what I was being asked and that I managed to get result is a testament to the horses and Pedro’s instruction. 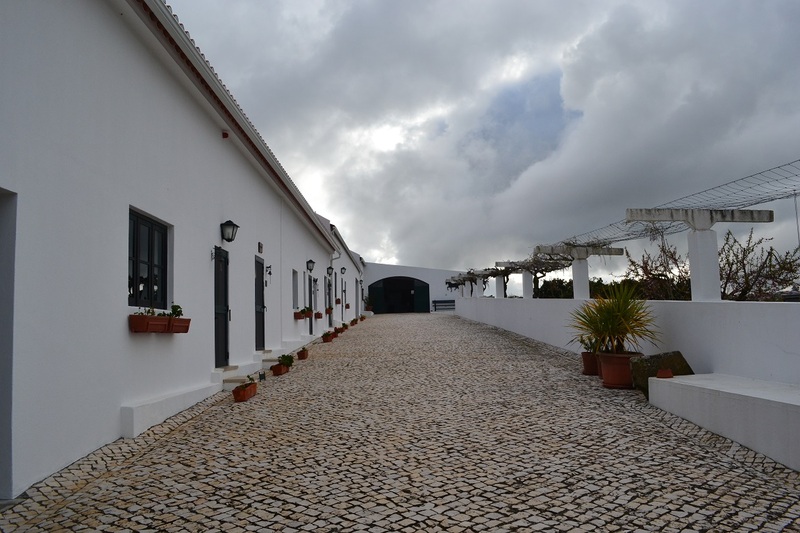 Follow my dressage adventure in Portugal as I travel to Monte Velho here.